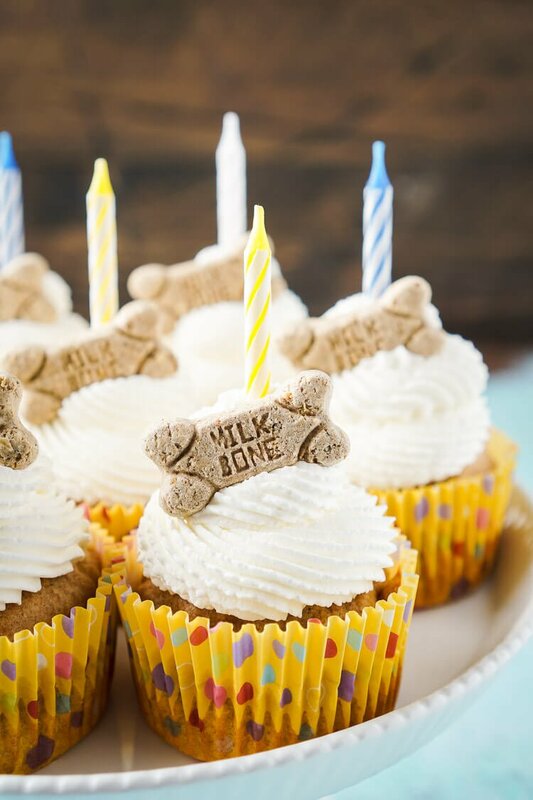 These Apple & Peanut Butter Pupcakes are a great homemade treat for your dog’s birthday! 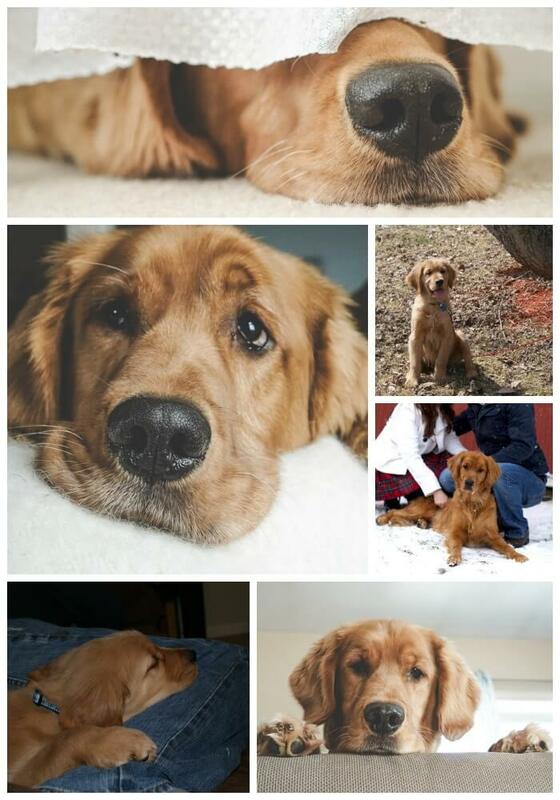 On New Year’s Eve, my sweet little golden boy turned 5. Or 29, which officially makes him older than us… WHAT????? How did this happen? Didn’t we just pick him up and bring him home yesterday? That’s what it feels like. At least, until he decides he’s a lap dog, then you know he’s 95 lbs and not the 13 lbs he was when we got him. Shoester is the one thing that’s always guaranteed to make me smile. Matt would tell you that his loyalty and attachment to me is unhealthy and neurotic. But, I don’t mind it. Somewhere in the last 6 months or so, little white hairs started popping up around his eyes and mouth and I realized time was passing far too quickly. And it’s made me even more grateful that I work from home now and he doesn’t spend his days alone waiting for me. He’s still not impressed when I travel, but he’s getting better with it. 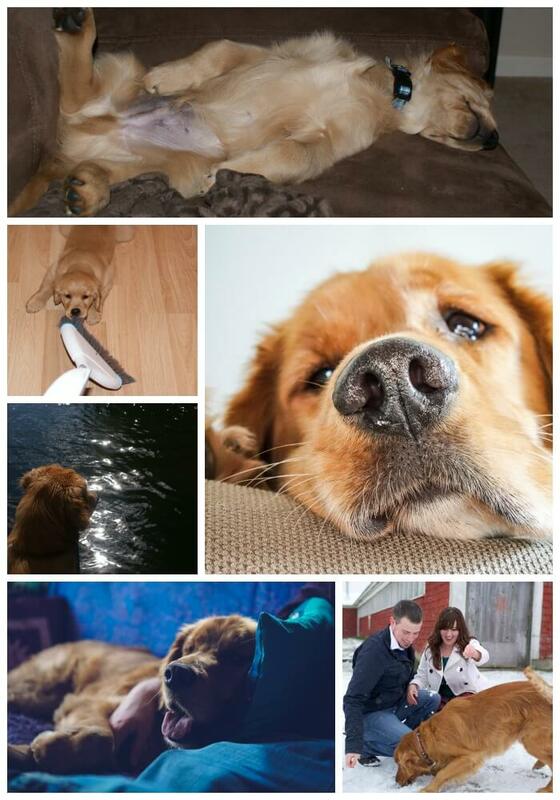 Last February, I talked about his seizures and thankfully, since we started him on some meds, he hasn’t had any. But those seizures sure did show me just how precious my time with him is. This little pup brings so much joy to my life and I want to make sure he knows he’s loved and celebrated too. I always make him a special treat for his birthday and this year I decided to make some Apple & Peanut Butter Pupcakes! They’re really simple to make and are completely dog-safe. They’re made with whole wheat flour, yogurt, apples, honey, and peanut butter. Then topped with a simple unsweetened whipped cream for the frosting. He absolutely loved them! He’s always standing by when I make and shoot recipes, just waiting for something to drop. And when I turned with the whole cake stand of pupcakes and set it on the floor, he got so excited. I think he was scared to touch them, he came over and put his head against my chest like “Is this a trick? I can’t look at them, I really, REALLY want one! Can I have one, mom, can I? Pretty, pretty please!” Yes, he said all of those things. So needless to say, he was pretty happy when he realized they actually were for him! 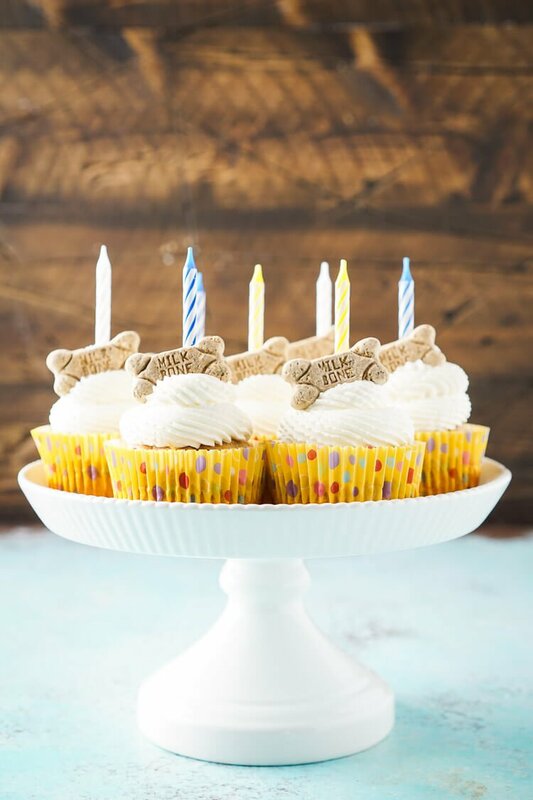 These Apple & Peanut Butter Pupcakes are a great homemade treat for your dog's birthday! In a large bowl or stand mixer fitted with a whisk attachment, beat together the flour, baking powder, eggs, yogurt, and applesauce and mix until combined. Beat in peanut butter, honey, and grated apple. Add a 1/4 cup of batter to each cupcake liner and bake for 20-25 minutes, until toothpick comes clean when inserted into the center. Allow to cool in pan for a few minutes before transferring to a cooling rack. Once pupcakes have cooled, beat heavy cream until light and fluffy, about 3-4 minutes. Pipe whipped cream onto the cooled pupcakes and top with a dog biscuit. Serve shortly after frosting or store in the fridge or freeze them. 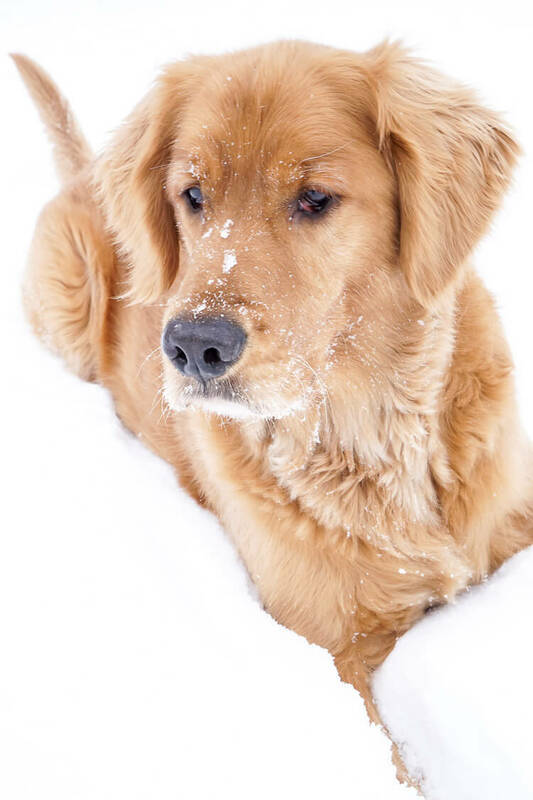 Dogs should only be given one a day. Use a mini cupcake pan to make mini pupcakes for smaller dogs. Use 1 tbsp of batter per liner and make for about 10 minutes. 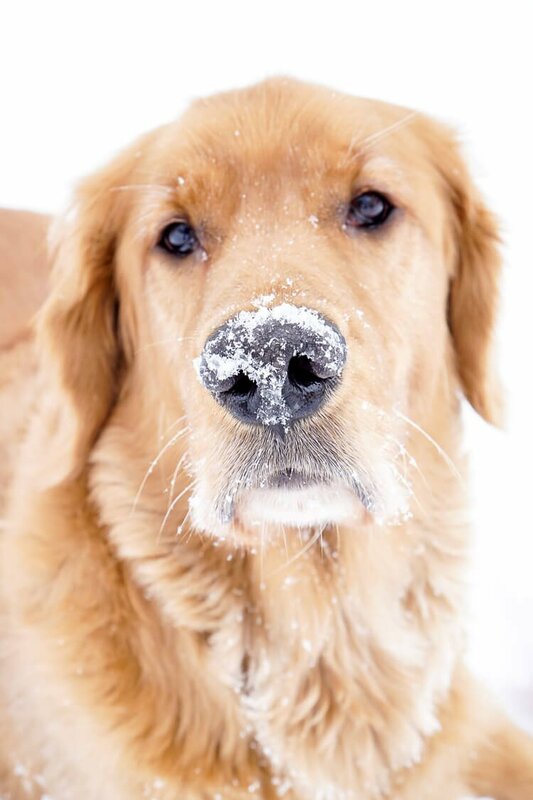 We spent the morning of his birthday out playing in the freshly fallen snow! 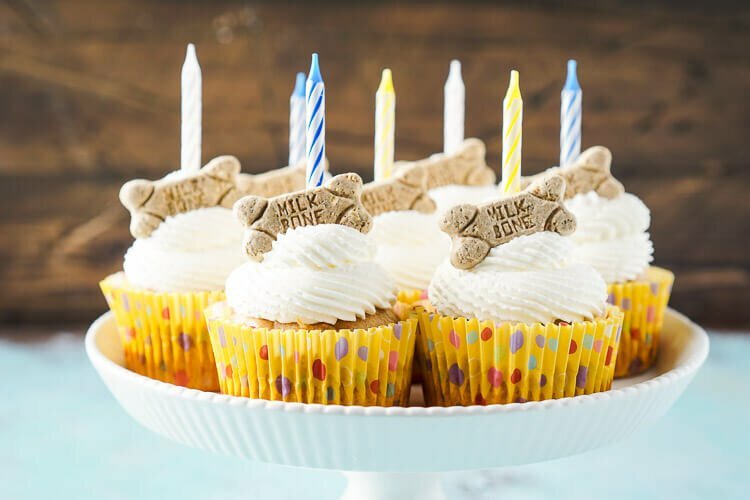 We just celebrated my dog’s 10 year birthday today with these adorable pupcakes! My 3 dogs (yes I have 3! 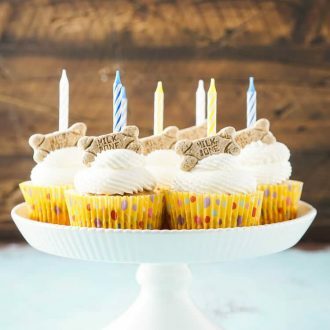 ), ages 10, 7, and 2 all loved these pupcakes so much! They gobbled them up and were so excited to receive such a special treat! 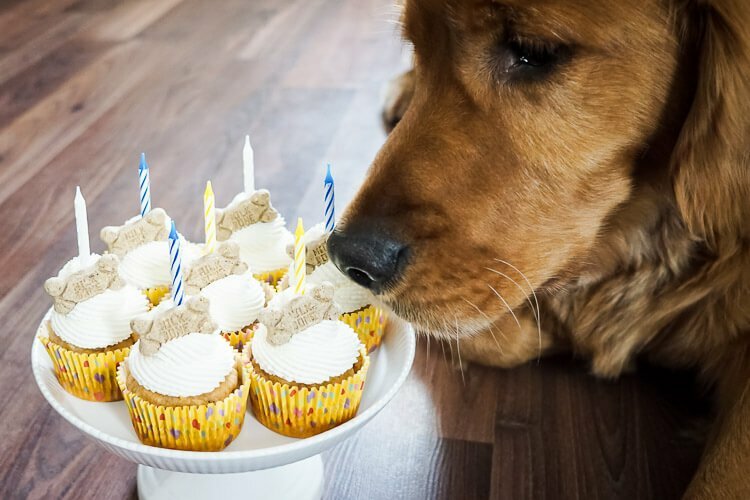 Thank you for sharing such an easy and tasty recipe to give to our pups for a birthday treat! So glad your pups loved them!!! I have 2 labradoodle sisters, and they just had a birthday, 12/29/17. They are 9 now nd like you mentioned, time has seem to fly by. Thank you for this recipe it was easy and fun to make. The girls loved them. I’m so glad they loved them! Happy 9th birthday to your girls! Thank you for the wonderful party cupcake. My 13 year old lab, Juney, went crazy. I substituted doggie pepperoni sticks for candles since I don’t let her play with matches. They were a hit and it was tough for the adults not to sample.